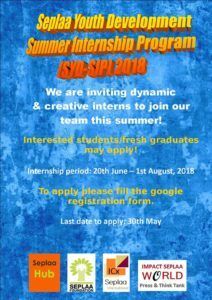 Seplaa Summer Internship Program (SYD-SIP) 2018 .The 6 week summer internship program at the SEPLAA Foundation and at the Seplaa Enterprises is a prestigious youth development program to develop the youth at the personal and professional level. 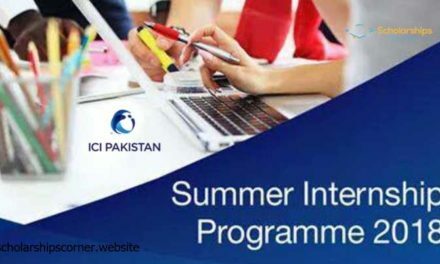 Every summer they conduct thorough 6 week SYD-SIP sessions for students from different institutions. The program is highly competitive and each year we have been inducting a maximum of 15-20 interns in each group. 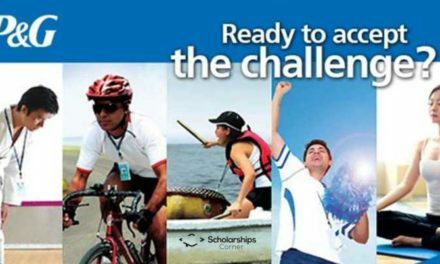 Since 2010, Interns in the past for this program have been from New York University (USA), Carnegie Mellon University (Qatar), NALSAR (India) and several top universities in Pakistan including LUMS, LSE, COMSATS, Kinnaird, FC College, Punjab University and schools such as Beaconhouse and Lahore Grammar School. SEPLAA Foundation is a non-profit and non partisan organization which performs to Empower Children, Youth & Women through various projects. 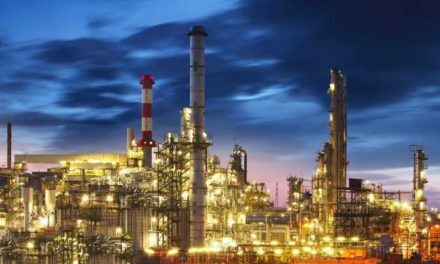 Upon successful completion of the internship, certificates and recommendation letters will be given to the best interns. The top intern will be paid at the end of the 6 weeks for his/her performance. Application form is very easy to fill. It will take 5-10 mins. Application must be submitted through the online application system.